Driving with your baby is something they don’t teach you in your driving lessons. Not only do you need to concentrate on the road, but also on exactly what your little bundle of joy is up to. One of the best accessories I discovered for making this as easy as possible was a baby car mirror. With these life-changing products, you can have complete peace of mind while driving, all while keeping a watchful eye to ensure your baby is always okay. 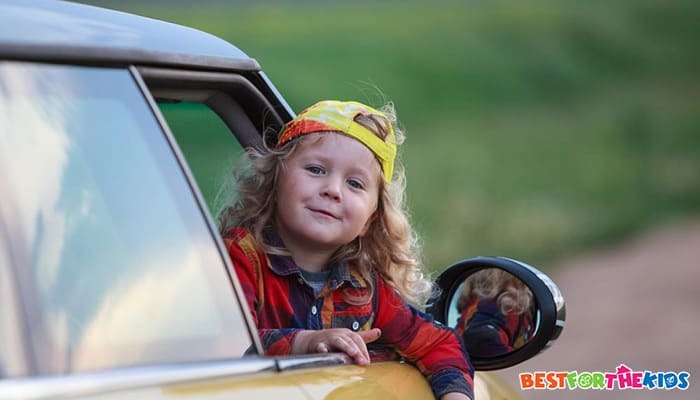 To ensure you make the best buying decision, here are three of my favorite baby car mirrors. 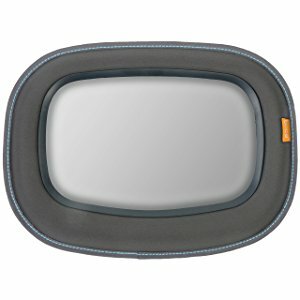 All of these mirrors come with everything you need to make driving as stress-free as possible. My absolute favorite car mirror, designed with your little bundle of joy in mind, is from BRICA. 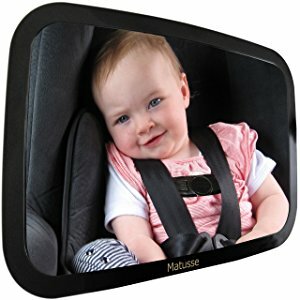 This large, easy-to-use and easy-to-install mirror provides you with a wide-screen view of your baby in the back seat. This mirror guarantees safety thanks to the Clear-Sight technology. This means you know exactly what your baby is up to at all times, and there’s absolutely no risk of distortion. What's Great About It: Some people believe that car mirrors can be dangerous for a baby, but this isn’t the case. This mirror has been thoroughly crash-tested and proven to be shatter-resistant. This puts your baby’s safety first. If you’re looking for the clearest view of your baby while driving, look no further than the Chicco Child Mirror. This unique mirror is designed using an outstanding convex design. This means that you can be safe in the knowledge that with every glance, the mirror creates a wide-angle display. This allows you to know exactly what’s going on at all times. What's Great About It: To make things even easier for you, this Chicco mirror is so easy to install. Simply use the adjustable straps on the back of the mirror to fit it to your car seat or head rest. This means you can use the mirror in any car that you and your baby travel in. My final favorite mirror has to be the Matusse mirror. Marketed as an essential baby product, this mirror has two great features that I love. Firstly, and most importantly, is the ability to see your child clearly thanks to the polished glass. The second is that your child can see themselves. This gives them an entertainment factor that you won’t find with other in-car mirrors. This makes for a stress-free drive, every time. This mirror is also extremely lightweight and prides itself on its extra-large design. What's Great About It: The ease of use you get with this mirror is unparalleled. In less than 30 seconds, this mirror can be installed. This is thanks to the versatile straps that simply wrap around your headrest, ensuring you’re ready to go at a moment’s notice. Choosing the ideal car mirror for you may seem like an overwhelming task, especially when there are so many to choose from. To help you out, my guide below will ensure that your chosen model has everything you could need. As a parent, you won’t always be driving your baby around in the same car. This is why easy installation is essential. Look for easy to install straps that will fit around a car’s headrests. Alternatively, you can use a mount that can simply be connected to the car. In the event of a crash, no matter how big or small, you won’t want bits of mirror flying around your car. When choosing your ideal mirror, look for one that has been tested in a crash situation. The mirror itself should be made from high-quality, shatter-resistant materials. This is essential for the safety of your baby. When shopping for in-car mirrors, look for models that have wide-angle displays. The more wide-angled the display is, the more you’ll be able to see with a quick glance. This means you’ll be able to see exactly what’s going on without having to take your eyes off the road. As with any kind of baby product, always look for a car mirror that comes with a warranty. If for any reason, you’re not completely satisfied with your product, you’ll need to replace it. You’ll also want to ensure that your chosen product comes with a refund policy. This could be needed for several reasons. For example, you may find items are missing with your mirror. You may also find that it doesn’t fit your car or it won’t install properly. If this happens, you’ll thank yourself for choosing a product with a full refund or replacement policy. Car baby mirrors are super affordable and incredibly easy to install, so there’s no reason not to get one. Your little one’s safety should always be your number one priority which is why it’s so important to get yourself one of these mirrors. 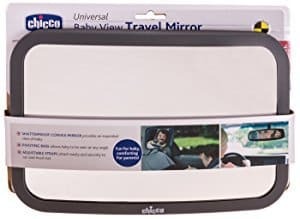 With one of these mirrors, you’ll find that driving in the car with your little bundle of joy is so stress-free and simple.